Email agent about 9 Ford Court, NEWNHAM TAS 7248. A quality family home with spectacular views, 9 Ford Court is a certain winner. This modern four bedroom, two bathroom home has been tastefully appointed and enjoys terrific natural light throughout the open plan living/dining room with 180 degree views over to the Tamar River. This area is kept comfortable year round with an electric heat-pump providing both heating and cooling options and the kitchen has a large pantry and stainless steel appliances. There’s excellent storage throughout the home with each bedroom boasting a built-in robe along with a substantial linen closet in the hallway. The master bedroom is adjoined by a spacious ensuite whilst the second bathroom that services the other bedrooms includes a separate bath and shower. A remote double garage offers secure parking and more storage, and access to the rear of the property is provided via a single roller door off the garage. The large 1205m2 block does need some development, with plenty of options for a vegetable garden, fruit trees and a sunny bank perfect for establishing shrubs and plants. 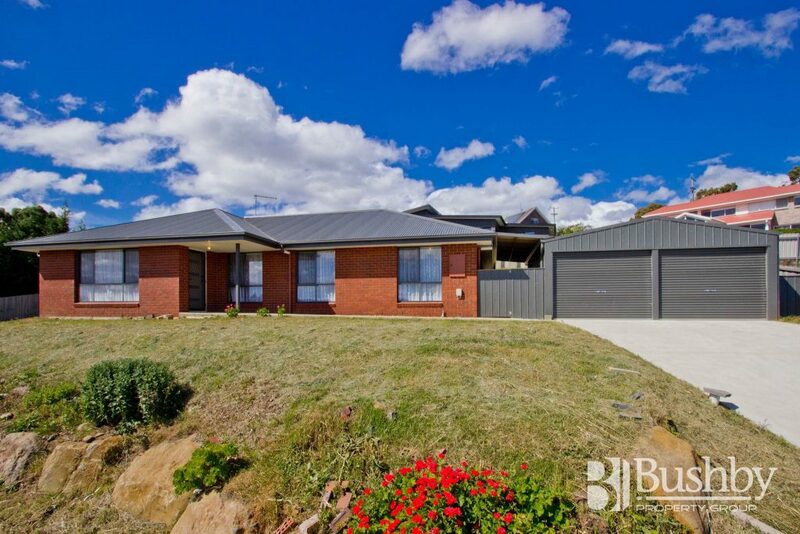 Located within a few minutes’ drive to the University and the vibrant Mowbray Shopping and Business Centre, yet still only a short drive to Launceston’s CBD. Call me today for your private inspection.